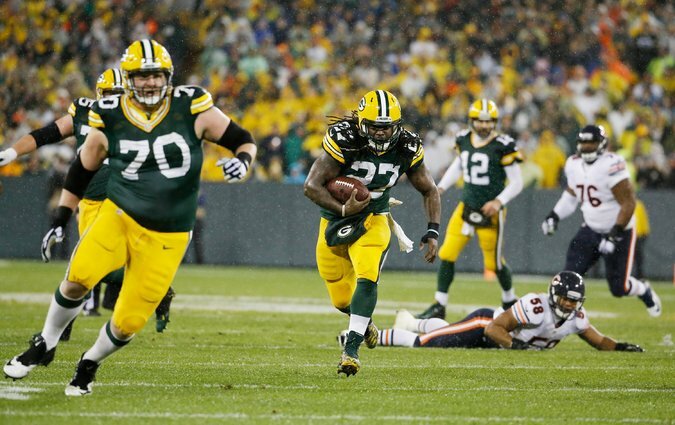 Eddie Lacy has topped 100 yards rushing in each of his last two games. Fantasy football analysis for Thursday night’s game between the Green Bay Packers and the Detroit Lions. Check back Friday for analysis on Sunday’s games and Monday’s matchup between the Dallas Cowboys and the Washington Redskins. You can also follow the Sablich brothers on Twitter at @5thDownFantasy. Aaron Rodgers (GB) — The Packers played the Lions three weeks ago, and Rodgers attempted a season-high 61 passes, completing 35 of them for 333 yards and two touchdowns. Over all, the Lions are yielding 18.8 F.P.P.G. to the position (eighth most).